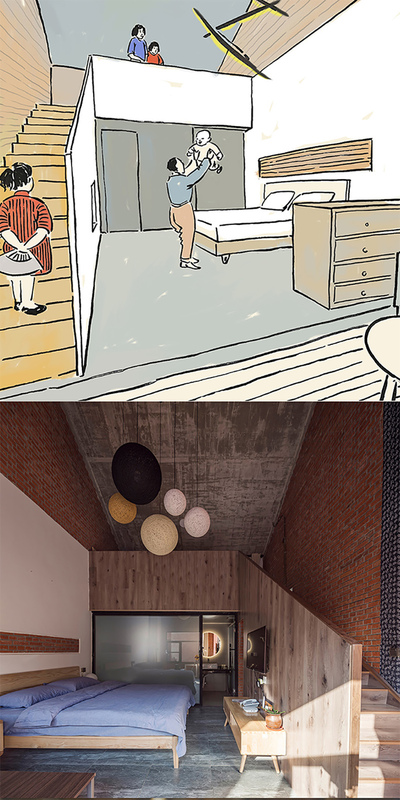 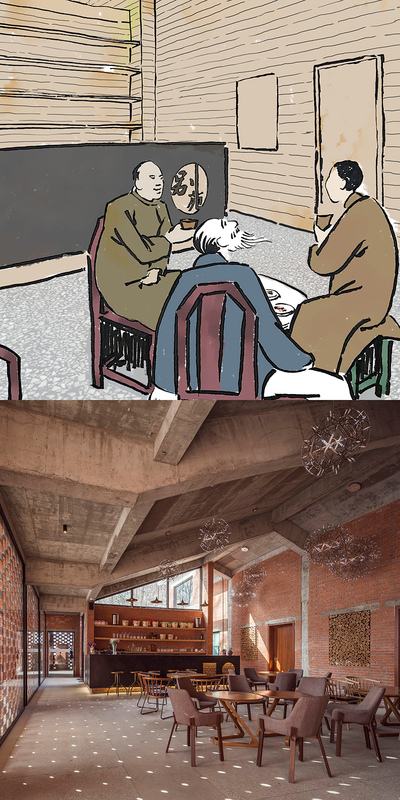 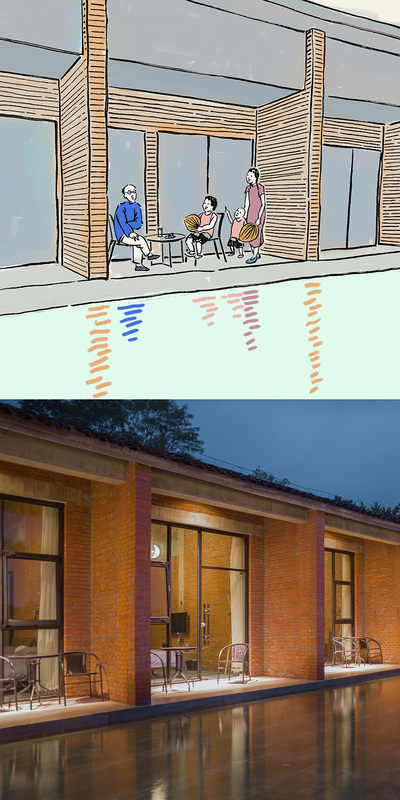 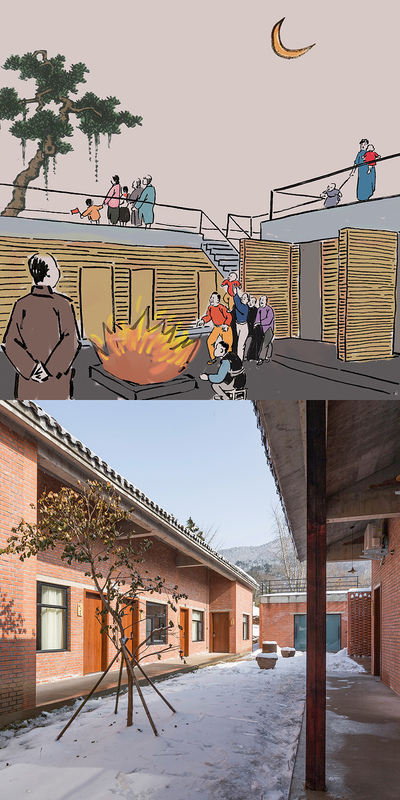 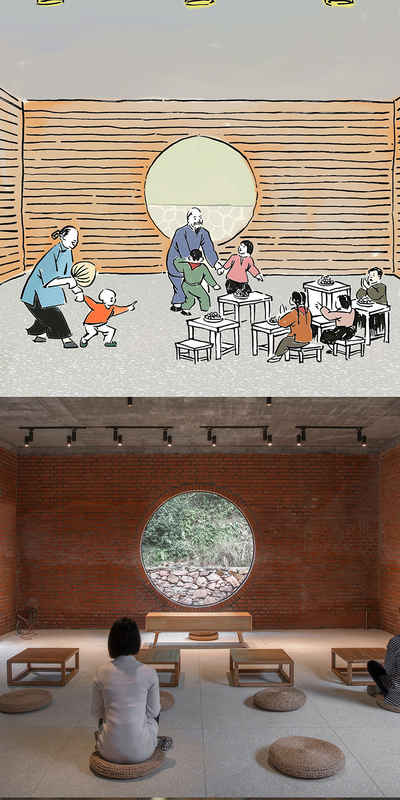 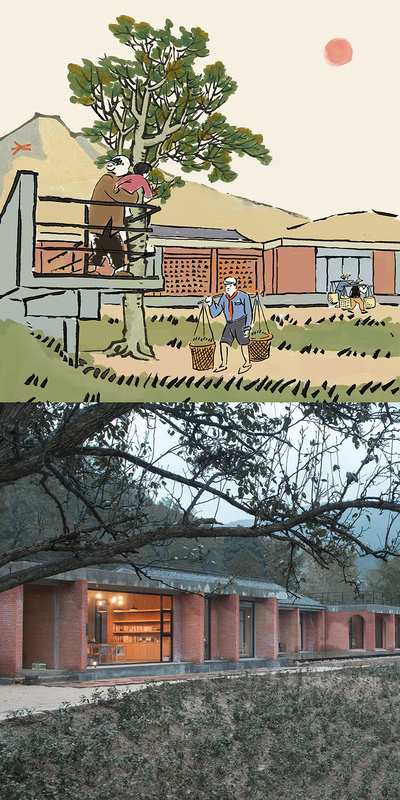 chinese studios 3andwich design and he wei studio capture everyday moments of rural life in drawings, which are then translated into the design of a brick guesthouse complex in xin country, henan, on the hinterland of china’s dabie mountains. 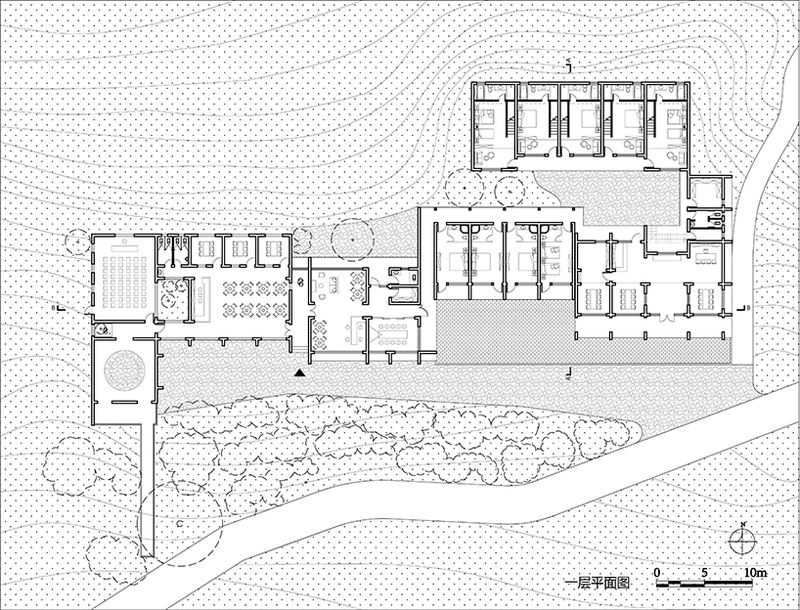 b garden focuses on agro-tourism and aims to incorporate activities such as farming, creative agricultural product making, climbing and meditation. 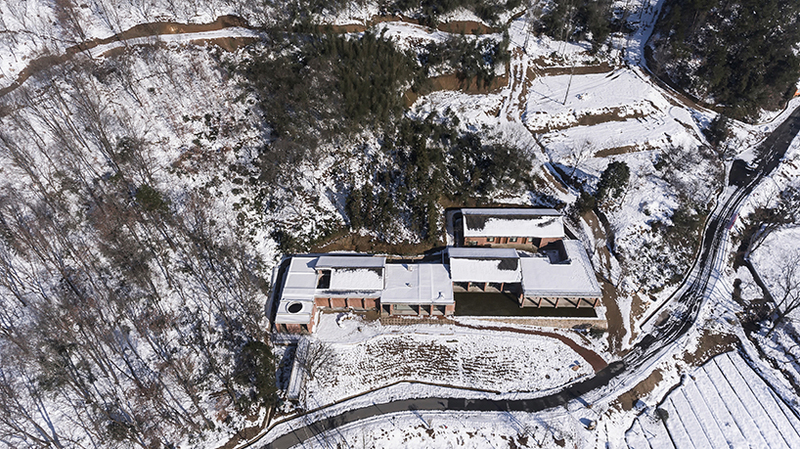 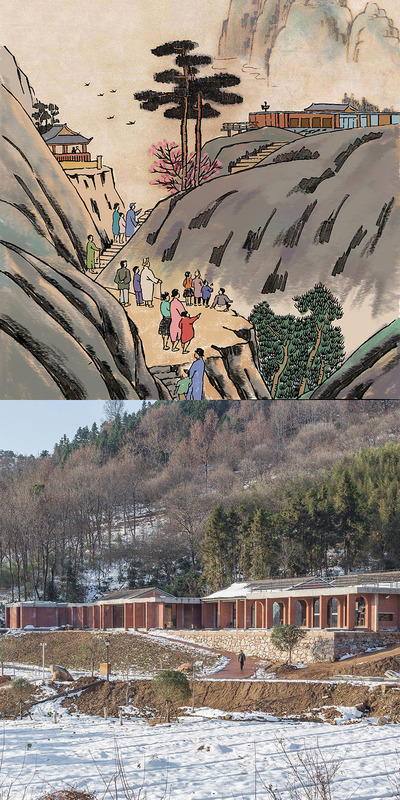 a crucial part of the dabie mountains outdoor campground park, the complex includes guest rooms, a cafe, a teahouse and an auditorium that can be used for public gatherings and training programs, as well as a meditation space. 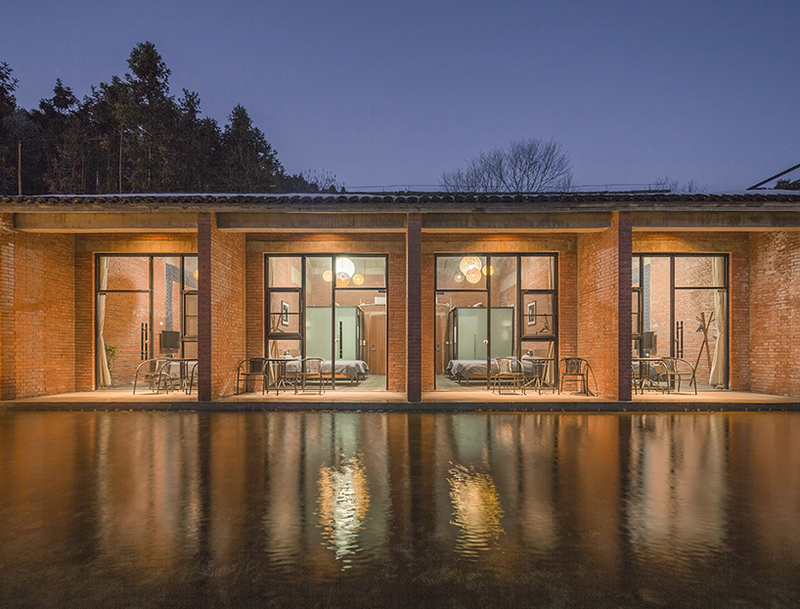 the architects believe that the most attractive part of chinese traditional architecture is the relationship among houses, courtyards and paths and thus functions are intertwined and connected by multilayered pathways. 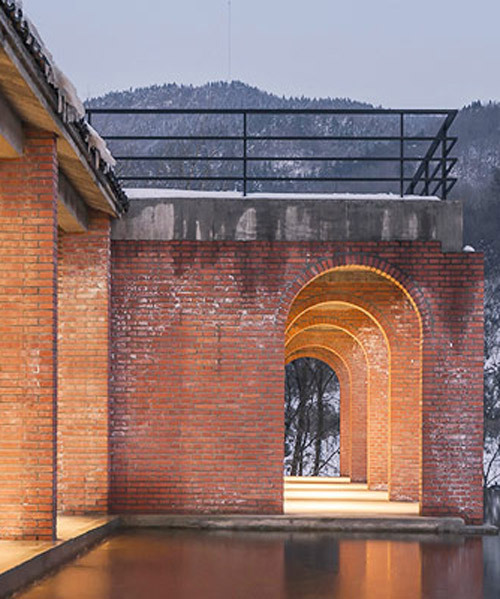 intimate courtyards of different spatial features are intersecting buildings, while complex, and even hidden, paths encourage visitors to find their own way around the site. 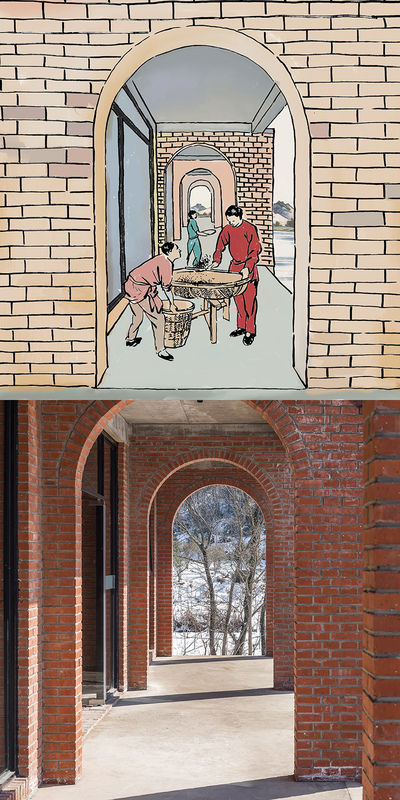 the main material of the building is red brick, commonly used during the 1980s. 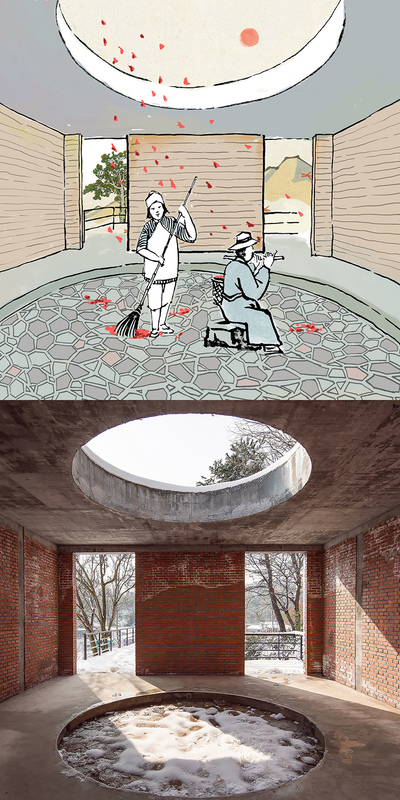 terrazzo floors and exposed material in the interior’s walls add to the pastoral sense the designers wanted to evoke.